What Line Should I Buy for Fishing Streamers? 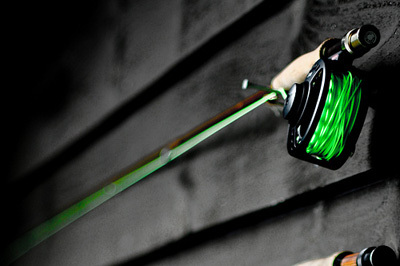 Question: What line works best for fishing streamers? Right now, all I have is a floating line, and if I’m gonna buy a whole new line—and a spool for it—I don’t want to get the wrong thing. Answer: As with so many other questions about fly fishing, the answer is “It depends.” I do a lot of streamer fishing because my home river, the Battenkill, has a low trout-per-mile number, so you need to cover a lot of water to find the fish. Also, Battenkill browns don’t rise nearly as much as fish in other rivers, except during Hendrickson spinner falls. I consider my fishing buddy Joe Phillips a real streamer aficionado. He catches more Battenkill browns over 20 inches than anyone I know, and he doesn’t use anything but a floating line. He gets his streamers down to the fish by using a long fluorocarbon leader, weighted patterns, and split shot. But he also switches back and forth between nymph rigs and streamer rigs fairly frequently, so using a floating line cuts down on the re-rigging time. I’m sure that Joe would also argue that the long leader allows the fly to move more naturally in the current, which draws more strikes. Whatever the reason, his system clearly works. Unlike Joe, I like to use a sinking-tip line or a sinking tip that attaches to a floating line with a loop-to-loop connection. This allows me to use a shorter leader—between 3 and 4 feet—which helps with accuracy and makes me feel more directly connected to the fish when I set the hook. With a sinking tip, I’m confident that my fly is getting down into the strike zone quickly, and I feel as if I know exactly where my fly is at all times. In general, a sinking tip will also cast easier than will a rig with a long leader and lots of weight. If you don’t want to buy another spool for your reel, check out one of the many interchangeable-tip systems on the market. Most come with tips of different densities and sink rates, so you can tailor your rig to the kind of water you’re fishing—fast or slow, shallow or deep. In general, these multi-tips don’t cast as well as integrated sinking tips, but the ability to quickly re-rig can be worth the hassle. Even when I have a fast-sinking tip on, I like to cast well upstream of the target lie and allow the fly to get to the bottom. If the water is fast and deep, I’ll cast my streamer quartering upstream and high-stick it past my position before I start stripping or letting it swing. That way, the fly looks like a baitfish swimming upward off the bottom, a suicidal path that trout will often intercept. So, ultimately, the specific rig you use is less important than the result: is the fly getting deep enough? Are you able to hit the targets you’re fishing to? And is your connection to the fly good enough that you can set the hook quickly when you feel a strike? If you’re concerned about cost, try it with the floating line you already have plus a long leader and some weight. A mid-level purchase would be a multi-tip system, which is versatile, but perhaps clunky to cast. And if you feel you’ll be doing a lot of streamer fishing, invest in a spool and a high-quality integrated-tip line.